Very few games have received so much hate and so many downloads as Flappy Bird. The addictive and stressful mobile game involved a bird attempting to avoid crashing in a landscape that was remarkably similar to that off Super Mario’s. Flappy Bird has now been removed from the Apple App Store and from Google Play after its Vietnamese creator stated that it was ruining his life. To many people, creator Nguyen Ha Dong’s decision seems foolish after it was reported that Flappy Bird was bringing in $50,000 a day from in-app advertising. Although the app became immensely popular on both Android and iOS, some tech journalists began to speculate that fake downloads and reviews were being used to boost the game’s apparent popularity. Between individual user complaints and criticism from the tech media, Dong quickly became a minor celebrity, yet his reputation was not being built-up because of the success of Flappy Bird. Once Flappy Bird began to catch-on, the similarity between the scenery in the game and that of Super Mario Bros’ was pointed out. However, Dong has already stated that the decision to take down the app was not influenced by legal pressure, even though Nintendo may have been able to make a case against him especially once Flappy Bird became popular. 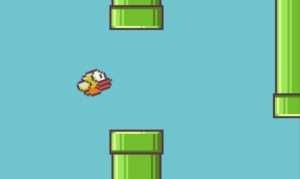 As simple as the game may have been (it only took Dong a week to create), Flappy Bird represents the way that the internet now works. Immense talent and creativity is no longer necessary to become popular and Dong’s application proved that while also leading to Flappy Bird’s demise. Summary: Flappy Bird creator Nguyen Ha Dong says that he had to remove the game because it was ruining his ‘simple life.’ Prior to the takedown, Flappy Bird had quickly become one of the most popular mobile games with 50 million downloads.